Deep groove rolling ball bearing with good sealing-Ningbo Haishu Nide International Co., Ltd.
Quality comes from being controlled rather than be done. On the basis of the escalating production equipment and optimized process, Nide spare no efforts and keeps improving for quality control. Quality assurance covered with system, technology and human resources are in full swing. Nide is professional in manufacturing ball bearing. We have been in this field for many years, and our products cover a wide range and application. Nide team will provide customers with advanced technology, first class quality and best service; will be always at your service.We make various kinds of ball bearing as per customer’s drawing and samples. Our ball bearing is widely applied the different industrials. 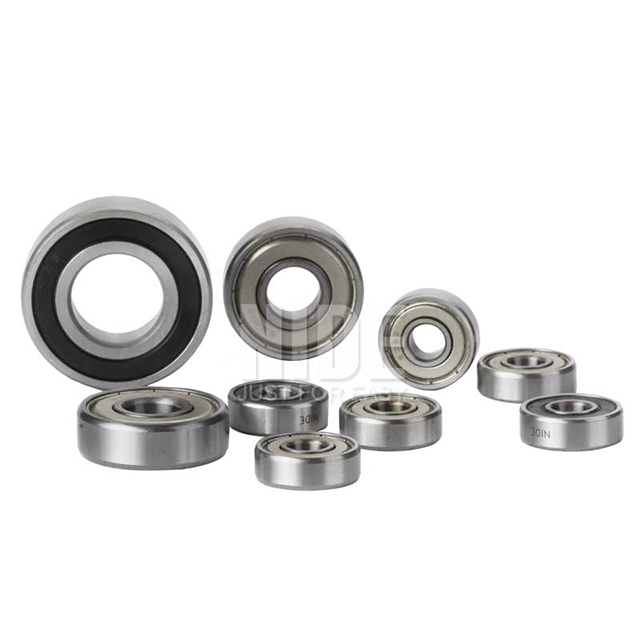 The bearings are widely used in household appliances, automotive industry, textile machinery, power tools, office equipment, industrial and agriculture application, etc. By introducing the high precision machines and testing equipment, and strictly implement quality insurance system ISO9001: 200, we put all of our efforts to produce the good quality products to cater for our customer’s different requirements. According to dimension tolerances and runout accuracy, Nide deep groove ball bearings are ranged from ABEC-1 to ABEC-7, ABEC-1 is standard grade, while ABEC-3 is higher, ABEC-5 is much higher and ABEC-7 is the highest. These tolerance grades are according to the international standard (ISO-492).